Tai Chi and Qi Gong are both traditional exercises based on the theories of Chinese medicine, dating back thousands of years. The obviously profound effects are evident in the individuals who practise these techniques. The practise involves mastering the regulation and control of three parameters: external body movements (different postures and slow flowing dance-like movements), the breath, and the focus of the mind. Aside from it’s self-defense applications, Tai Chi and Qi Gong have been practised for centuries because of its health benefits. Photo: Kevin Poh. By learning very simple techniques, one can gain access to self-healing. 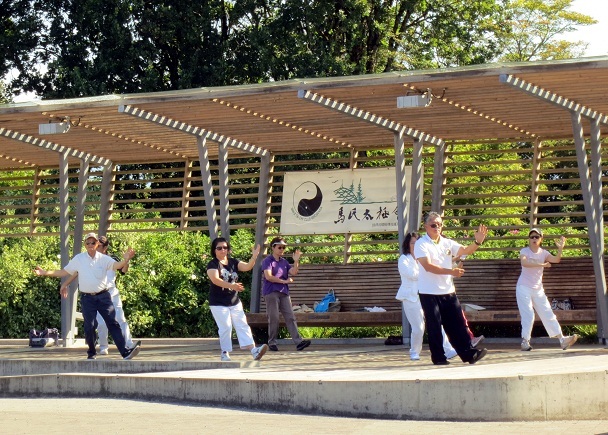 Many modern studies show how Tai Chi and Qi Gong can improve mobility and ease pain in the body, enhance the immune system by increasing ATP, oxygen capacity, and white blood cell counts, and initiate the release of serotonin and other neuro-endocrine regulating chemicals in the body, thus eliminating depression, anxiety, and other negative emotional states. The exercises are gentle and easy to do and can be learned by a wide range of individuals. The applications include enhancing the healing of serious chronic diseases as well as improving the peak performance of athletic and mental capacities. A compelling body of research emerges when Tai Chi studies and the growing body of Qi Gong studies are combined. 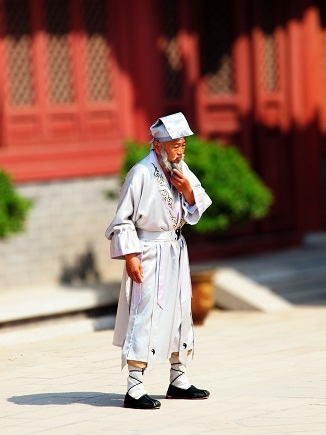 Hypertension, cognitive disorders, osteoarthritis, chronic obstructive pulmonary disease, balance issues, chronic fatigue, fibromyalgia, auto-immune disorders, shingles, self-confidence and low self-esteem issues are some of the well-researched conditions which show considerable improvements from Tai Chi and Qi Gong. Tai Qi Chuan is the external moving exercise stemming from martial arts applications of self-defence. The modern goal of Tai Qi is to build and circulate the internal and external energy in the body, and thus promote peace of mind, strength, and flexibility in the body. It is the ultimate self-healing tool. By learning to accumulate and move your energy around the body you can heal yourself and others. Qi Gong is like combining exercise with meditation and breath work. It can be an internal or external exercise, depending on which style you choose to learn. The internal exercise can be practised anywhere, in any body position: lying in bed, seated at a desk, or on an airplane, for example. You learn to become aware of and circulate your own internal energy, called “Qi” in Chinese traditions or “Prana” in Indian culture. This exercise is a complete and powerful healing system that can be used by anybody for any type of illness or problem, physical or mental. You will also learn to use it to help others. One session is enough to learn basic techniques that you will use and benefit from for the rest of your life. However, the deeper understanding and subtleties emerge after repeated sessions and prolonged practise. By using abdominal breathing you can learn to enhance your ability to focus and calm your emotions. When learning to circulate the energy in the “microcosmic orbit” along the meridians or energy lines of the body, you will learn about different major acupuncture points on the body and how to use them to correct your posture, relieve pain, enhance sexual function, build your immune system, and heal your internal organs. This is the best method to not only heal existing diseases, but most importantly prevent future diseases from evolving. Many symptoms can be completely eliminated without any drugs or harmful western medical treatments. Acid reflux, indigestion, insomnia, chronic pain, weakness, headaches, dizziness, menstrual problems, addictions of drugs or overeating can all be improved naturally by learning and practising simple Qi Gong exercises. With instruction, from a properly trained and experienced practitioner of Chinese medicine, the exercises can be custom-tailored to individual needs. If you don’t like typical exercise workouts, yoga, or other types of wellness activities, or are limited by pain, self-image issues, excessive weight, fatigue, or general lack of inspiration, then this could very well be your solution for learning a simple, effective tool to enhance your health. There is no basis or limitation from existing religious or other belief systems. These are very useful exercises which are well-grounded in scientific understanding and have a long history of proven success, being passed on from many generations in many different cultures. Tai Chi/Qi Gong classes are held at Santosa Detox & Wellness Center, 16/4 -5 Patak km. 2 Rd in Kata every Tuesday from 3pm–4pm. For more information, visit www.santosaphuket.com, call +66 76.330.600 or visit www.newworldmedicine.com. Turning Points: What is addiction rehab?